For those of you who follow this blog since the beginning, you might know of Ruel Rebello – my budget wedding photographer. He is the person who shot my engagement, my pre-wedding photoshoot as well as my wedding. Pretty much all my ‘professional’ photography needs are solved by this guy. So, who is he exactly? He is only 20 but he started off with photography way back in 2012. He has always had an interest in capturing people and their memories. Initially he started off with smaller functions from birthdays, to corporate events…and slowly he moved into the wedding category. I was searching for a budget photographer for my engagement. Anywhere I inquired, the prices were going sky high, think 20k, 30k+. I was quite novice to the whole wedding budgeting, but I knew that there is no way I want to spend that kind of money. So after crazy searching, I finally got a recommendation from a friend. I checked out a few pictures on his instagram, and decided to go ahead with him. Best decision I ever took, I tell you. What did he charge me for my events? He is a one-person team. His focus is on candid photography, event photography and automobile photography. If you follow him on social media, you will see that he is crazy about bikes. But that’s ok, he is pretty good as far as wedding stuff is related. Absolutely. He is perfect for smaller events where the focus is on you. So think pre-wedding photoshoots, portraits, pre-wedding functions etc. Given that he works by himself, if you expect that he will cover the entire wedding on his own, that would be a stretch and an impossible task. What I did was I hired him for my wedding…he did candid photography and I got another agency to capture the entire wedding. I let him work independently. In the end, I got pictures that were missed even by the agency…the smaller finer details. One can just never have enough wedding memories, and I always say the more the merrier. He gives a LOT of photos. As compared to other agencies I have dealt with who are forever fussy about the number of shots shared, the number of edited photos etc…Ruel is someone who gives all the photos edited to the best of his abilities. The timeline he works on is pretty good too. For instance, my engagement photos were in my inbox in less than a week. 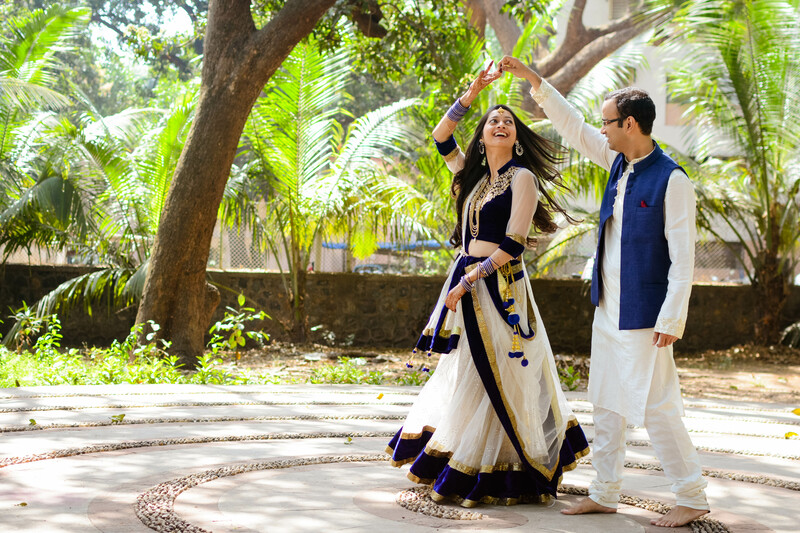 Pre-wedding in a matter of few days and wedding photos were ready within a fortnight. The turnaround time is amazing. A lot of times we just can’t wait for the photos. This is what I love about Ruel, the minute he is home…he is working on your shots. Time and again, he keeps sharing pictures on a daily basis which works great. Very understanding and cooperative. He doesn’t fuss about overtime, spends the day trying to get as many shots as possible and is forever willing to try out new things. Most importantly, he is super easy to work with. You won’t get the best edited photos. But he gives neat clean shots. What I do is I use my own softwares to play around with the editing. I do agree that he is a bit amateur in his photography…but he has a lot of plus points which makes me overlook this fact. He is currently based out of Mumbai. Do you know of any budget wedding photographers that you would like to recommend? Hey…these two pics are my fav…Did Ruel rebello clicked these??? ?